Imagine you could upgrade the sound reproduction quality of any of your older pinball machines to meaty, hi-fi quality stereo. And imagine you could change any or all of the individual game sounds, perhaps swapping in movie theme music to make your perfect customised pin. 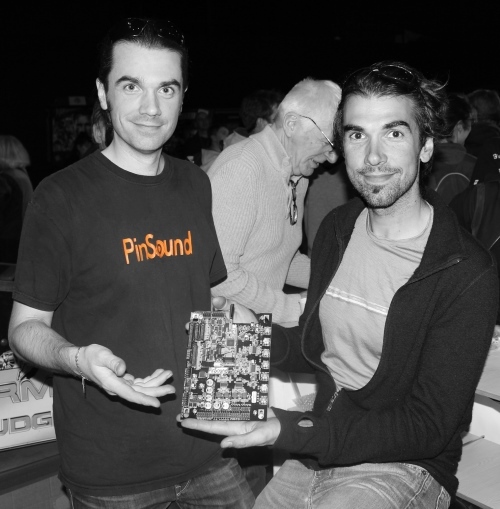 That was the dream of French brothers Timothee and Nicolas Manaud, an embedded electronic engineer and a a software engineer respectively, and it’s one that they’ve been working on full time for over two years. And now PinSound, the fruit of their labours, is finally ready. So what is PinSound? It’s an easy to swap drop-in replacement sound board for Data East, System 11c, WPC, DCS, WPC95 (with an extra adapter) and soon Stern DMD machines. It sports an on-board 2:1 amplifier (2 x 20W to power backbox speakers in stereo, plus 30W to power the cabinet bass speaker,) a lineout/headphone jack, and controls for bass, treble, balance and fader (to set the balance between the backbox and cabinet). Alternatively you can use the lineout jack to connect external speakers – either via a lead or using a wireless Bluetooth adapter – or connect headphones, using PinSound’s optional switched headphone cabinet kit, or just a set of headphones with a very long lead. In many ways the PinSound board does for sound what a ColorDMD upgrade does to your orange DMD screen: it applies a big dose of modern technology to kick the capabilities of your pin firmly into the twenty first century. Now if you take a look at a PinSound board you’ll notice that it has a USB socket. That’s because the board doesn’t get the sound it plays from the host machine’s ROMs. It actually plays sounds stored in a USB drive plugged into the board. Ideally the board would be able to carry out ROM emulation so you could download the correct ROM for any game from the IPDB, copy it on to a USB stick, and the PinSound board would then play the original sounds. That’s not the case at the moment, although the Manaud twins are working on ROM emulation for a future firmware release. But the good news is that there’s a pretty good workaround for the moment. You can download sound files (the Manaud brothers call them “mixes”) for many games from the PinSound Community web site, and these contain the original game sounds converted into the format that the PinSound board can play. That means you can play a game with all the original sounds, but thanks to a better amplifier and sound controls it sounds quite a bit better – especially of you use the jack to connect headphones or external speakers. The obvious problem here is that many of the original pinball machine sounds weren’t recorded in very high quality because of the space restraints of the original ROMs and (apart from Data East) weren’t recorded in stereo. And that’s where the PinSound board really comes in to its own. Instead of playing the original sounds, you can download alternative mixes for a limited selection of games from the PinSound Community web site, or create your own using PinSound’s free PinSound Studio application. These could be similar to the originals, but with stereo music (perhaps from a movie soundtrack) replacing the machine’s original mono music. Or they could be unchanged apart from the addition of new callouts to replace the originals, they could be complete re-orchestrations of all the original sounds in the game, or they could be entirely new sounds to change the way the game feels completely. The sound, in other words, is completely customisable, in the way that it is when you use fellow Frenchman Olivier Galliez’s Pinball Browser with a Stern machine. What’s different is that you’re not constrained by the space in the pinball machine’s ROM: you can use as many sound files as will fit on your USB stick. And you’re also not constrained to swapping one sound for another: for example, you can replace a particular callout with four or five new ones if you like, and the board will use a different one each time the callout needs to be played. At the time he said that he would make these sounds available, but it wasn’t clear how it would be possible to use them in a TZ machine. Here’s the good news. These sounds have now been turned into a PinSound mix, so as of 18th February 2015 anyone with a PinSound-equipped TZ can download and finally play the music that Granner originally intended for the game. The latest version of the PinSound board’s firmware introduces another pretty cool feature: the ability to control a shaker motor based on particular sounds that the machine calls. 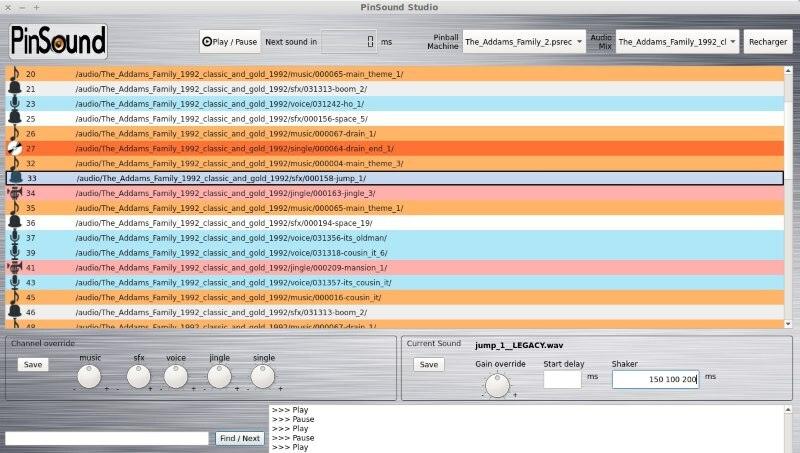 Using PinSound Studio you can make particular sounds in a mix trigger the shaker motor with particular shaker motor behaviour such as a slow start or a rumble. That means that any machine can be upgraded to support a shaker motor with much more fine-grained control over it than simply making it shake when (for example) the flash lamps are active. To get an idea of the effort that Carell puts in to each re-orchestration, part of the White Water project involves rerecording Wet Willy’s callouts. So he contacted designer Denis Nordman to find out who originally did Wet Willy’s voice. “Dennis told me he didn’t remember, but then I thought of contacting Chris Granner because he did all the sound, and he told me it was Warren Davis, inventor of Q*bert,” Carell says. He then wrote to Davis and he has agreed to rerecord all the Wet Willy callouts – in much higher quality – all for a nominal fee. For the purposes of this review Pavlov Pinball got its mitts on an early version of the PinSound board. Installing it in a The Addams Family machine took less than five minutes – a simple matter of loosening four screws on the original sound board, pulling out a few cables, putting in the new board and reconnecting the cables. This is made easy because the sockets on the new board have the same names as on the original board (J501, J502, etc). Then it was over to the PinSound community website to download the original sounds and a couple of alternative mixes (as zip files) and copy these onto a USB stick. Then the USB stick was plugged in to the PinSound board and the machine switched on. The first time a new mix is added there’s a one-time wait of about thirty minutes while the board processes the zip file, converts all the sounds into .wav files, and organizes them into the required directory structure. It’s a pretty slick operation, with the board providing progress updates through the machine’s speakers in a pleasant female voice. Once the 90 minutes for the three mixes was up we were ready to go. And what a difference the PinSound board made. We’re big fans of ColorDMDs here at Pavlov Pinball, but you only get to glance at the DMD occasionally while you’re playing. But you’re exposed to the sounds all the time, and belting out high quality sound through decent speakers during a game is one hell of an experience. Total pinball. Something like that. We also played the sounds through the stock TAF speakers, and although the sound was better the difference was nothing like as great. In the end the quality of new mixes comes down to the skill of the mixmaster. Carrell’s T2 mix (in the video clip above) shows how good they can be. Easy to install hardware that you can easily switch between multiple machines in your collection. Ability to add shaker motor support is a big plus if you’re a shaker motor fan. This level of technology doesn’t come cheap. Re-orchestrations are a matter of taste and won’t appeal to everyone, and the quality depends on the skill of the author. Verdict: A wonderfully engineered product from the hugely talented Manaud brothers. Definitely worth buying one if upgraded sound appeals to you and you have the cash to splash. We can’t wait till our TZ is up and running again to try out the original Chris Granner DCS sound mix. 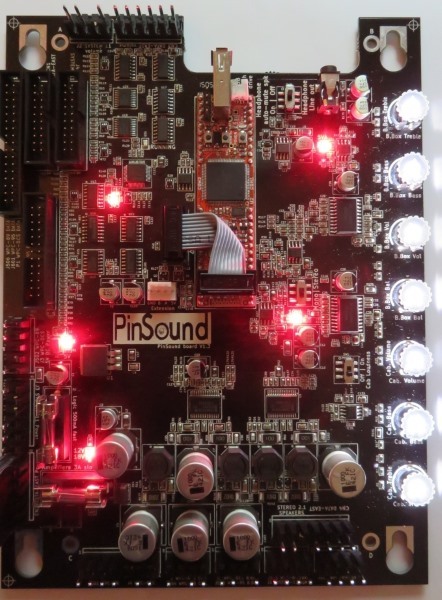 The PinSound board is available the PinSound store from mid February 2015 priced at $339, £239, Euros 299, with free delivery to anywhere in the world. Thanks for this review! I’ve been very excited about this project since I first heard about it–it’s the most exciting advancement in pinball since ColorDMD, IMHO. 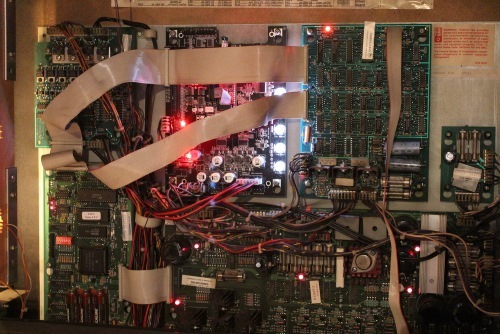 Russell Speak (@SLAMT1LT), now of Heighway Pinball, has used Future Pinball to vastly upgrade the audio experience for dozens of the most popular pins with incredible results, but sadly, only a small fraction of the pin community has been exposed to his incredible work. I’m sure he’s very busy working with Andrew, but I really hope he will be able to get involved with the PinSound community web site to contribute his amazing audio work in the form of downloadable mixes. For just one example, I would be thrilled to have his mind-blowing Future Pinball STTNG audio available on my machine. Thanks again for your review of the PinSound board! 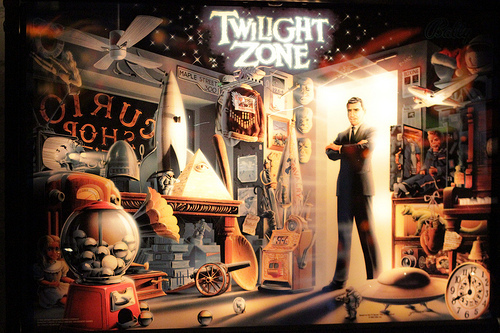 Congratulations to the Manaud brothers for bringing this much-needed advancement to pinball! I’m very excited about its future. Unfortunately PPS have now decided that any remix needs licencing, so whilst Endprodukt’s Whitewater sounds absolutely awesome, being completely re-orchestrated, it sounds like it will never see the light of day.